Image 6: curbside classics. As ever, a nice article from CC on the 1979 Ford LTD. Image 8: a nice article about a Nissan Cedric. And it has a vinyl roof as well. I’d be in for the duel and the breakfast. But then, I’m pro wood and anti fake wood, so I’ll be standing in the middle and getting wet from both sides. 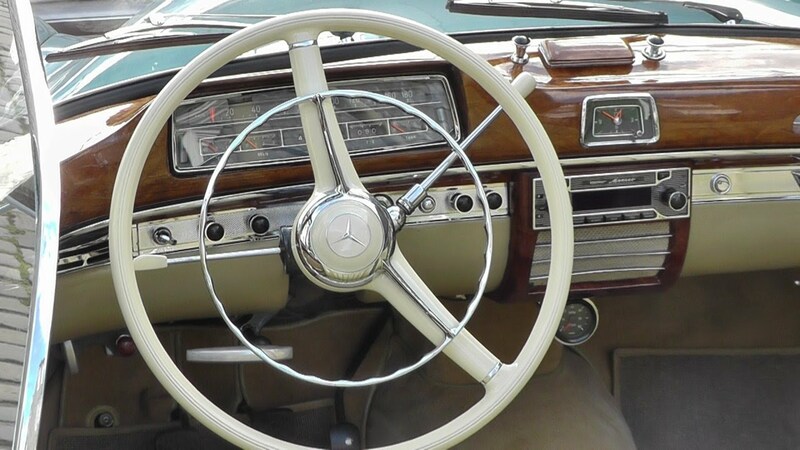 I’m usually firmly in the anti fake wood camp too, but I’d have to make an exception for the magnificent dashboard found in the Facel Vega. I’ve heard that many times, people complaining about the fake wood on the Facel-Vegas. As I understand it, it was supposed to look fake, to emphasize the fact that it was aluminium all along. Making alloy bodies was the specialty of Jean Danino, that’s from where he sprung. I’d call it an actually post-modernist ironic statement about something being deliberately badly faked to highlight the fact that it wasn’t real in the first place. But yes, it also seems the irony has gotten lost in time and translation. Very french, n’est-ce pas? I’m in a similar position to Daniel for slightly different reasons. First, I have to admit that part of my income comes from faking natural materials like stone and wood. My take generally, is that you only fake it when you can’t use the real stuff – maybe for reasons of weight, or safety. Which brings me to cars. Real wood splinters, so its use on a modern car in a solid piece is inappropriate. Of course veneers are very thin, so this avoids that problem, but I still find it jars in a modern car, unless its a Phantom or suchlike. Fake wood in a modern car is just silly, like fake grilles. French made Citoren Traction Avants had modern, painted interiors. When it came to building them in Slough for the UK market, they fitted the timber dashboards that all competing British cars had. However, the design wouldn’t allow timber window surrounds, so these were painted to look like wood. So too were the dashboards of Facel Vegas, being finished in a rather elaborate painted burr – they were expensive, why didn’t they use the real thing? When I wanted a secondhand V6 Mondeo, I ignored the timbered up Ghias, and took a fair time looking out a nice grey plastic adorned comparatively rare S model. I also like wooden steering wheel rims having driven a 156 with one; warm and chunky but gives you more road feel. That dark interior on picture 4 is the only one worth keeping in that gallery. As it happens, according to the source page it is covered in a wood-effect vinyl called ‘dark tamo’, by 3M. Strangely I don’t mind it too much. It looks like it could be made with wood, number 4. The others less so, even the S-type. Have you figured out what car that dashboard belongs to yet? It looks familiar, but I can’t quite put a name on it. Nice one. I looked at several VW models but hadn’t thought about that. That is a good example. It’s shape and placement are coherent with how it might be made. Ingvar: your anecdote is entertaining. I have difficulty accepting that such a double-bluff would be understood by the customer. The problem is that’s not falsifiable. Interesting though – it is early po-mo if the intention really was to have clearly implausible wood as a comment on materials. From here I see a runway leading to a huge discussion!